Hello! I am Wilson Burnham and welcome to my blog! 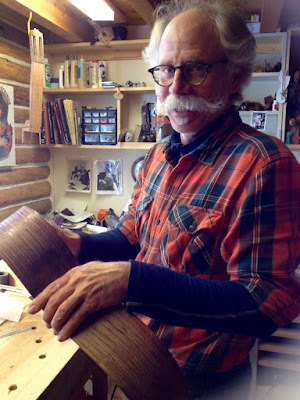 I hand craft classical guitars in a small studio outside of Allenpark, Colorado. As a classical guitar player myself, I know the joy of playing a truly wonderful guitar - one that sings, is responsive to your playing style, with a voice that reaches the last row of seats in a recital or concert hall, and most of all, a guitar that you fall in love with so much you never want to stop playing it. That is the kind of guitar that I make. for details on how to acquire a handcrafted Burnham Classical Guitar! 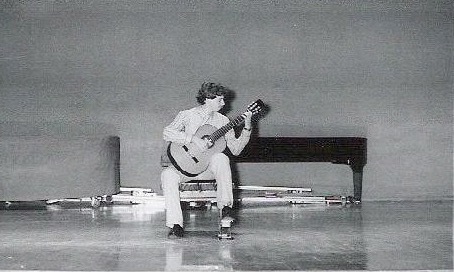 I began studying the classical guitar in 1974 when I was 12 years old, my first teacher was Bob Backes, he had studied with Pepe Romero and Christopher Parkening. 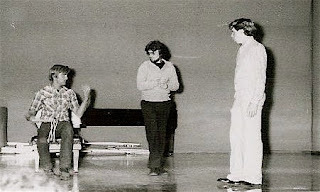 In 1980, when I was 18 years old, I auditioned for and was accepted into the August 1980 Christoper Parkening Master Class at Montana State University, Bozeman, Montana. It was an incredible experience to study with the master, who then was only 33 years old! At the end of the class I was selected, along with five other students to perform in the student recital. I am a graduate of The University of Montana, Missoula and I hold a Bachelor of Fine Arts in Theater. After graduating from college, I attended the Horseshoeing School at Montana State University and received a certificate in farrier science and achieved a Basic certification from the American Farrier Association.